when you purchase both patterns as a bundle. NOTE: Pattern files have been compressed into a .zip file which will require unzipping to create the .pdf file that can be opened. 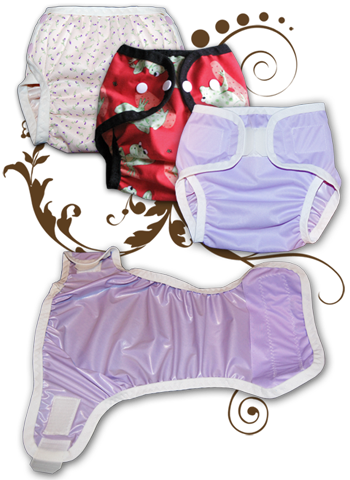 With so many fantastic diapering choices on the market, it can be difficult to decide which diaper pattern offers the best range of options for your needs. And what if your needs change? Darling Diapers Unlimited is a full-featured pattern perfect for a diaper-making beginner with enough variety and a fantastic fit even a pro can appreciate. Instantly download a .pdf file that contains 31 pages of full-color photographs with very detailed written directions. Print full-sized patterns for diapers and contoured soakers in six sizes. Six separate pattern sizes: x-small newborn, newborn, small, medium, and large and extra-large to ensure you have the right sized pattern available for babies from 5 to 50lbs. Most parents report that they are able to skip sizes using only the pattern sizes that fit their child best. Many parents report that their child can wear a size medium from about 4 months until potty-learning! For fast-growing toddlers and later potty-learners the pattern includes larger sizes. Two separate size charts offer sizing guidance when sewing with stretchy or non-stretchy fabrics. The entire pattern is digitally drawn and has convenient color-coded sizing. 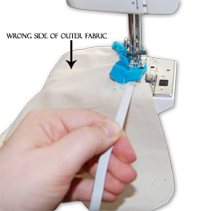 Serger and snap directions are included but are totally optional. 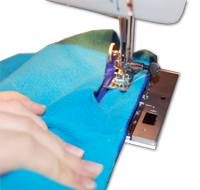 There are plenty of sewing-machine only directions if you don't have a serger or snap press. Directions on how to modify the pattern's rise, waist, and thighs for a more custom fit. New ideas, options, and advice continue to be added to the pattern through an online link. Pattern is downloadable immediately after payment. Never worry about ruining a master pattern. Re-print as often as needed. No need to buy or use pattern-tracing paper. A .pdf pattern allows the use of full-color photos and diagrams and detailed instructions that would be cost-prohibitive in pre-printed patterns. 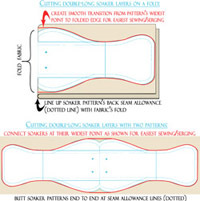 This pattern is detailed enough for most beginners but assumes knowledge of general sewing terms such as seam allowance and back-stitching. 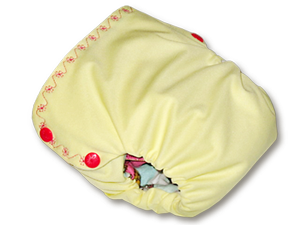 We encourage everyone new to cloth diapers and diaper-making to join online forums that focus on using and/or making cloth diapers. Learning about cloth-diapering isn't difficult, but it can be overwhelming at first. 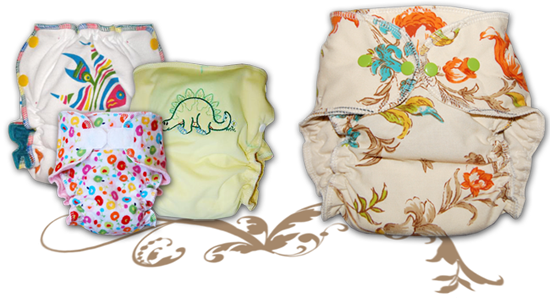 We know you'll have more fun sewing and using cloth diapers when you have a solid grasp of construction, use, and care. This pattern is very detailed but it does not give definitions for general cloth-diaper related terms such as fitted, soaker, or quick-dry. For more pattern information, please visit the pattern our pattern FAQs. This pattern is for home sewing only. Please note that this is an electronic pattern in .pdf format. It has been compressed (zipped) to reduce download times. It is necessary to extract (unzip) the downloaded file to create the viewable .pdf pattern file. Most systems already have a program to unzip files. But if you do not, a free one we recommend is 7-zip. You must have a .pdf reader such as Adobe Reader or Foxit Reader (also free) to view the .pdf pattern file. You must have a printer to print pattern pieces. This pattern file is quite large at 23Mb. Average download time for DSL/cable is about 5 minutes. Downloading with 56Kb dial-up connection may take up to 1 hour with an uninterrupted connection. If your download will not open or gives an error such as "corrupt file", there is a high likelihood that your internet connection was interrupted which ended your download prematurely, resulting in an incomplete file. Try downloading again. If the problem persists, consider using a program called a "download manager" which will allow your download to pause instead of end if there is an interruption in your internet connection. There are many free download manager programs available on the internet. Please ask all questions before purchasing. Pattern purchases are non-refundable.